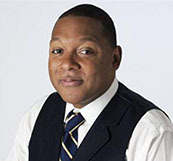 WYNTON MARSALIS (2015-2021)—is an internationally celebrated American musician, composer, bandleader, and educator, and artistic director and principal co-founder of Jazz at Lincoln Center (JALC), which has evolved as the preeminent site for jazz in the United States. Under Marsalis’s leadership, Jazz at Lincoln Center has become one of the world’s most acclaimed jazz performance spaces and a center for research, advocacy, and educational programming in jazz studies and performance. Marsalis’s acclaimed career has brought important visibility to jazz as artform and cultural expression; his importance in vitalizing jazz in education and in the public mind cannot be overstated. Born into a prominent New Orleans jazz family, Marsalis has continued the legacy of great jazz musicians from the Crescent City. Marsalis’s work both references and extends these past masters yet captures the joy and adventure that were their hallmark. Artistically restless and tireless in his advocacy for jazz, Marsalis challenges historical divides between “classical” and “vernacular” musical art and between “elite” and “people’s” culture, and has helped propel jazz studies into secondary and post-secondary education. Marsalis’s bridging of the conceptual divides between “jazz” and “classical music” is prominently on display with such notable large works as the epic oratorio composition Blood on the Fields (1997), the string quartet At the Octoroon Balls (1999), the chamber work A Fiddler’s Tale (1999-a response to Stravinsky’s A Soldier’s Tale), All Rise (2002-a work for big band, gospel choir, and symphony orchestra), an extended multi-sectioned religious work (In this House, On this Morning, 1992) and two symphonies, (Blues Symphony, 2009; Swing Symphony, 2010). His catalog of more than seventy recordings include three RIAA-certified Gold Records – a rare accomplishment in jazz. Marsalis has composed for the dance; he has written major works for the New York City Ballet, the American Ballet Theatre, Twyla Tharp Dance and the Alvin Ailey American Dance Theatre. His numerous national and international awards and other recognition, including the Pulitzer Prize for Music (1997) for the oratorio composition Blood on the Fields and eight Grammy Awards for his performances, recordings and compositions (plus a ninth Grammy Award for a spoken-word children’s album). As is well known, Marsalis garnered Grammy Awards in both jazz and classical categories in 1983 (the first musician ever to have done so)—and then duplicated the distinction the following year. Additional honors are plentiful; among them are the National Medal of the Arts (2005), the Edison Jazz Award (Netherlands, 1984), the Grand Prix du Disque of France (2010), honorary membership (non British citizen category) in Britain’s Royal Academy and some three-dozen honorary degrees from such universities as Columbia, Harvard, Howard, Princeton and Yale. Marsalis was proclaimed an international messenger of good will for the United States by appointing him a United Nations Messenger of Peace (2001).